Silk&Steel is a two female band with 4 years of professional musical experience. Our goal is to make your event the most vibrant and festive as possible. We play center stage getting people to sing along and dance and we also play backdrop to set the mood just right as people socialize amongst themselves. Silk&Steel plays a wide variety of genres such as Disney music, Reggae, Classical, R&B, Blues and more. We are willing to work with all local clients as far as booking prices. If interested in booking please contact us we will be glad to entertain. Love to dance and sing along with music? If so we are the band for you. If you give us enough notice we also can learn songs our purchasers' request. The sounds of our drums makes you feel like you are in paradise. Our goal is to get the crowd clapping, dancing, smiling, and ready to party. Silk&Steel also plays backdrop to get the mood just right for occasions such as weddings or gatherings. 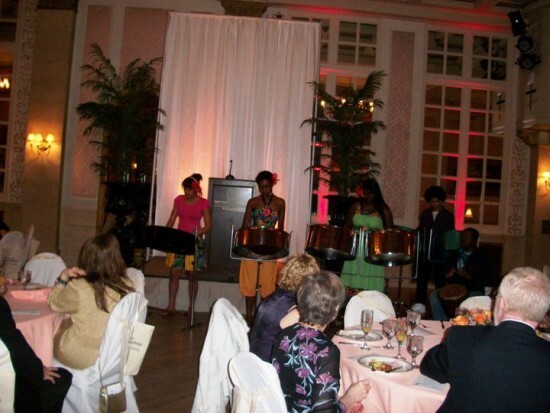 Hello this is the Silk&Steel drum band belonging to the Hamilton Hill Arts Center. We are a two member female band that plays a tropical sounding instrument called the steel pan that originated in Trinidad. When you hear it it makes you feel like you are in paradise. Summer is coming and for the events that are thrown and you want a feel of being on the island without even being there we are the girls for the job. We have performed at Price Chopper Golub headquarters, restaurants, weddings, schools and galas all over the Capitol Region. We play love songs, reggae music from artist such as the great Bob Marley, folk songs, hip hop, blues, classical, holiday (link hidden)e great thing is any songs you request in advance we will gladly learn for you and perform. 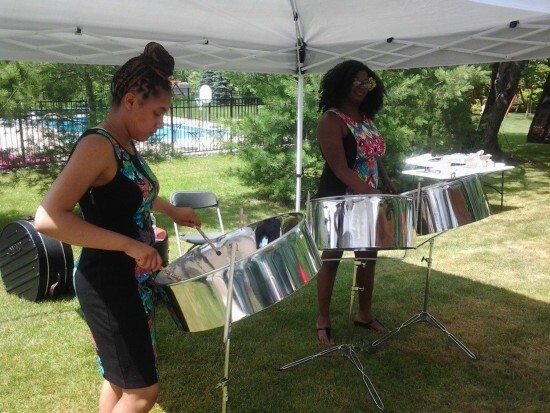 We are very affordable and the least expensive steel drum band around and work with people for prices by the hour or bundle a deal for 3 hours. If you are ever interested in booking a tropical music group please contact me through this email. We do backdrop music to set the mood just right for people entering. We do center stage performances getting the crowd clapping, singing, and dancing. As a band we are just trying to advertise and let more people know who we are because the steel drums are a very unique and beautiful sound of music that no one should miss out on.